I can’t stop buying tomatoes. Yesterday I went to the farmstand to buy late summer flowers. 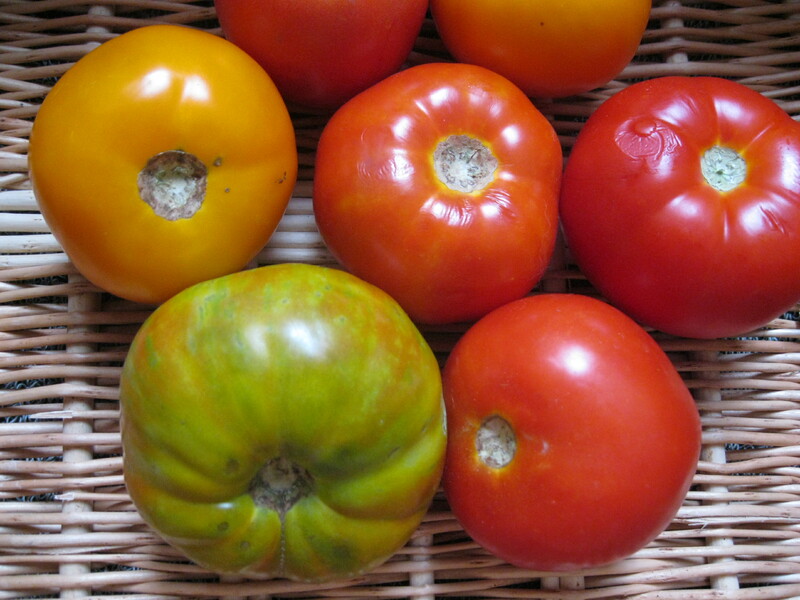 I came home with a couple pounds of heirloom tomatoes in green, yellow, and purply red. Day before at the farmer’s market, I went to get white peaches and nectarines and came home with tomatoes. Spread 2 slices of good bread of choice (9-grain bread from Nashoba Brook Bakery) with goat cheese, fresh ricotta, or ricotta salata. 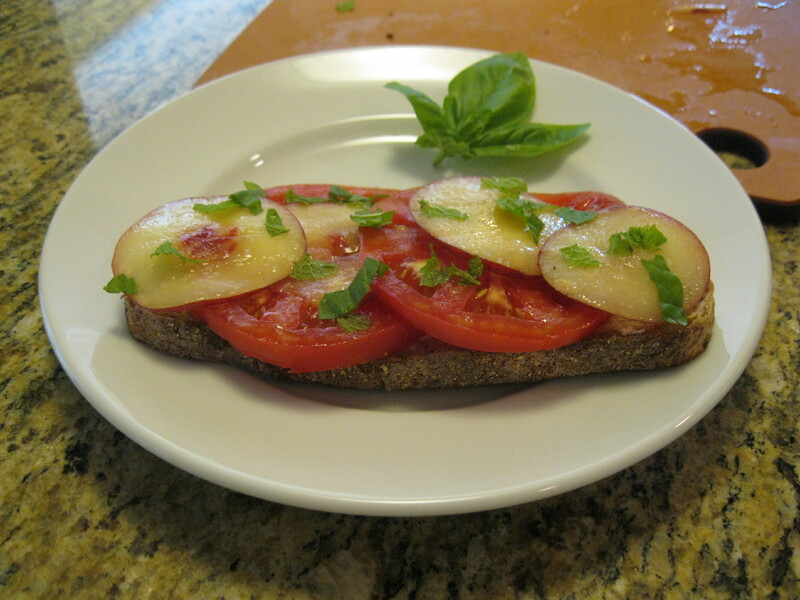 Top with thin slices of 1 large ripe tomato and thin slices of 1 large or 2 small peaches or nectarines. Sprinkle with torn pieces of fresh mint and/or basil leaves, and salt and pepper. Sit in the sun and enjoy. This entry was posted in Breakfast, summer food, vegetables by Amy. Bookmark the permalink.